Joseph F Addison, son of Felix Addison, was born in England in 1866. In 1913 a person named Joseph Addison married Sarah H Margin at Waverley. Joseph Addison died at his Surry Hills residence on 21 May 1928, aged 62. He was buried in the Catholic section of Waverley Cemetery. After studying music in Italy, Joseph Addison arrived in Sydney with J C Williamson’s Company. He may have been the Joseph Addison who arrived on the Aberdeen on 14 December 1882. Joseph Addison, A.L.C.M., L.L.C.M., was a winner of several State Baritone Championships. For over 35 years, he was conductor of choirs at St Benedict’s Church, St Frances Church at Haymarket, and, for the last seven years of his life, at Sacred Heart at Darlinghurst. He lived at 476 Crown Street, Surry Hills. 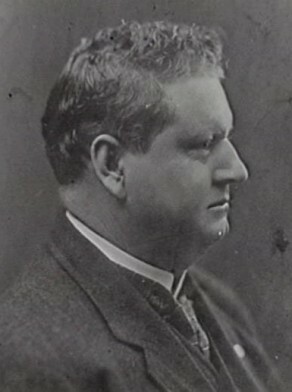 Addison was elected Alderman for Cook Ward from 1 December 1915 to 30 November 1918. From 1916 to 1918, he was a member of the Health and By-Laws Committee, the Electric Lighting Committee and the General Purposes Committee.